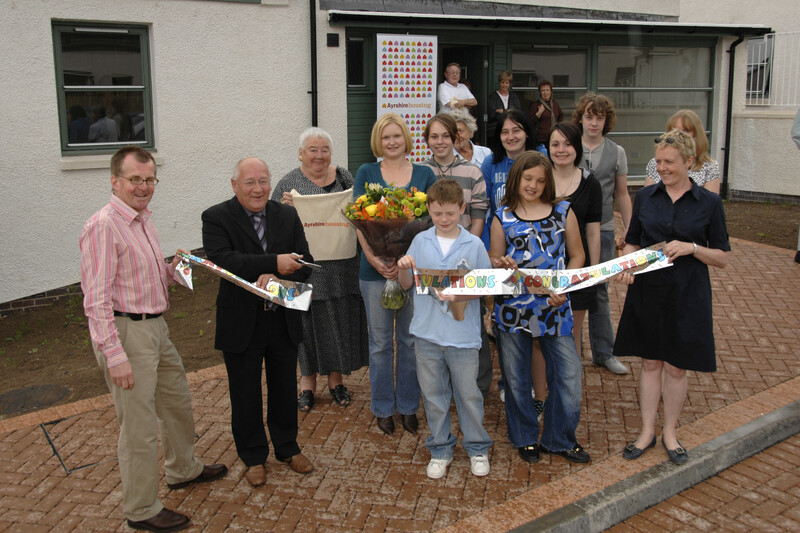 Today, Ayrshire Housing officially opened its latest development for rent in Kirkmichael. An open invitation was extended to everyone in the village which gave the event a real sense of informality. The 12 house development makes an attractive addition to this conservation village. At the same time, it creates new opportunities for families to stay in or move to the village. The design of the 12 house scheme is flexible enough to cater for changing needs over time. For example, all the houses have a downstairs bedroom. It was designed by the Alastair Murdoch Partnership (now Thomson Dawes) and built by Moulds of Kilmarnock. The project cost £1.3m and was supported a £1m grant from Communities Scotland. Earlier posts about this project.